New York Times bestselling author James Rollins called Robin Burcell's The Bone Chamber "a masterwork of historical intrigue and cutting-edge forensic science." Now forensic-artist-turned-award-winning author Robin Burcell brings you the next powerhouse international thriller featuring FBI agent and forensic artist Sydney Fitzpatrick. In The Dark Hour, Fitzpatrick is on the trail of a covert government agent's missing wife who is presumed dead—until evidence places her behind the enemy lines of lethal bioweapons organization. 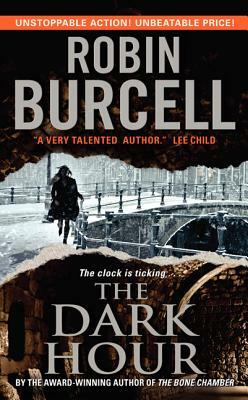 A globe-trotting rollercoaster ride of intrigue and adventure, The Dark Hour delivers on Burcell's knack for suspenseful, page-turning plots and compelling action.